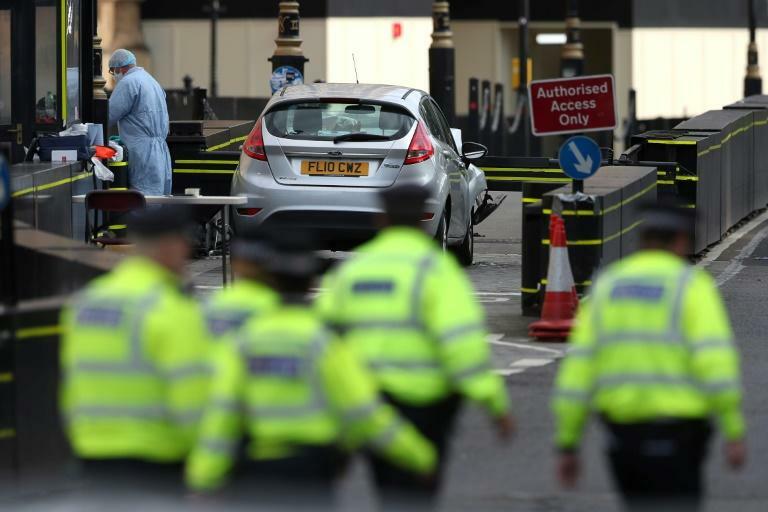 Three people were injured when the 29-year-old, named by media as Salih Khater, careered over a pavement and into the group of cyclists during Tuesday's morning rush-hour in Westminster. Police said the man, a British national originally from Sudan, was initially arrested on suspicion of terrorism offences but had now been "further arrested for attempted murder". Westminster Magistrates' Court approved a warrant Wednesday to continue holding the suspect until Monday, authorities added. Two of the injured victims -- a man and a woman -- were taken to hospital but have now been discharged. The third was treated at the scene. 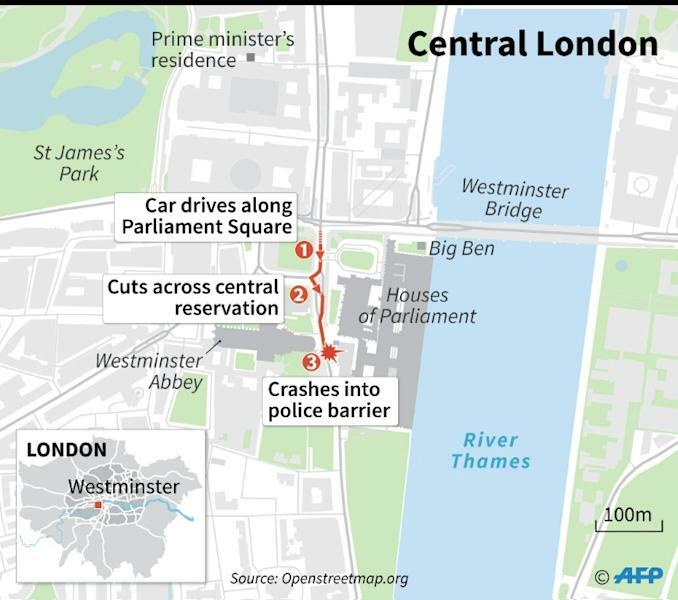 Khalid Masood fatally stabbed a police officer guarding parliament -- one of five people killed that day -- before being shot dead. The man involved in Tuesday's incident was believed to be from Birmingham, according to his local MP -- the same English city where Masood also lived. His brother described him as a "normal person" with no fanatical ideas, and no links to any religious group, according to the BBC. Abdullah Khater told the broadcaster his family -- who are originally from Darfur in Sudan -- was in "a state of shock" over the incident. Meanwhile Abubakr Ibrahim, a childhood friend, told The Times: "He is not a terrorist. I have known him since childhood. He is a good man." Local resident Ahmed Abdi, who is originally from Somalia, told reporters he was "shocked" to see Khater's picture in the news. "He was around here almost every day and I was here yesterday when the police turned up," he said. "He was very, very quiet and he never spoke to anybody." It drove around the Tottenham Court Road area -- near Oxford Street -- from around 1:25am (0025 GMT) before heading to the area around parliament around 6:00am (0500 GMT). "I've been an advocate for a while now of part-pedestrianising Parliament Square," he told BBC radio. But he warned any changes must not lose "the wonderful thing about our democracy which is people having access to parliamentarians, people being able to lobby Parliament, visitors being able to come and visit".